We, the people of Asian countries are obsessed with ‘fairer’ skin tones! Be it us Indians, the Chinese, the Koreans or the countrymen of our neighbouring countries… One thing that is common in our societies is that we all prefer fairer women over darker beauties! And this probably explains why our beauty market is flooded with ‘skin whitening’ products! I, personally HATE this notion and believe that every skin colour is equally beautiful and what really makes someone stand out is their heart! 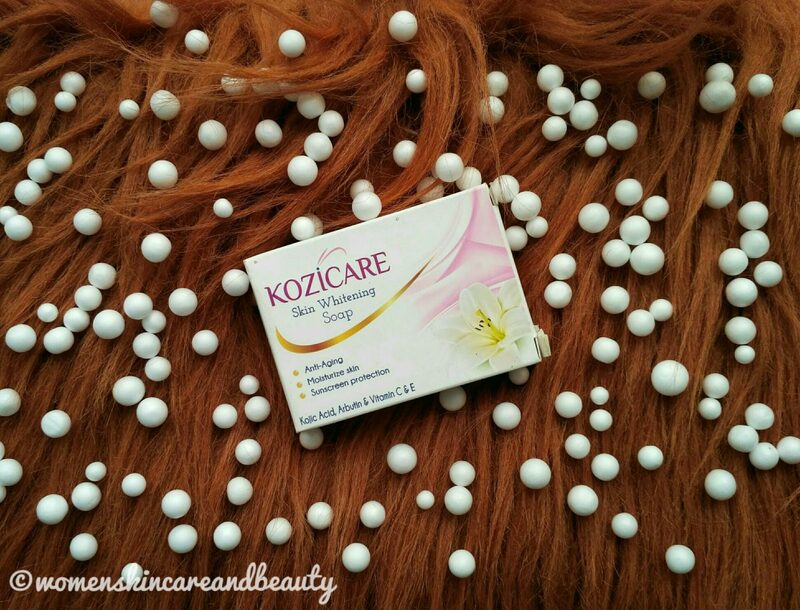 ❤ And so, me and my blog in NO way support the ‘racist’ notion and the sole purpose of my purchasing this ‘kozicare skin whitening soap’ was to TEST and REVIEW it for everyone else, so that no one falls prey to such claims… Because trust me, ‘skin whitening’ products DO NOT work! 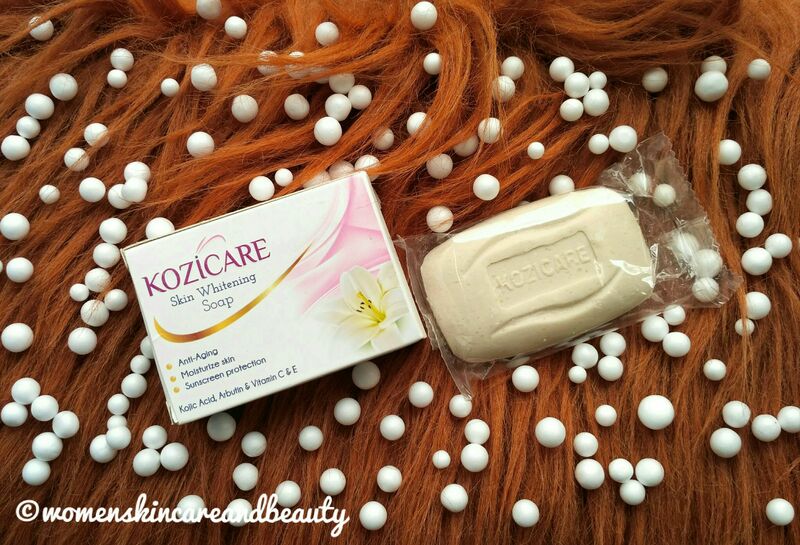 DESCRIPTION [As On The Website]: A skin whitening soap which contains Kojic acid, Arbutin, Vitamin C and Vitamin E. Kozicare soap provides moisturized skin, anti-aging benefits, sun protection and helps all types of hyper-pigmented skin. DIRECTION OF USE [As On The Website]: For best results, use twice daily. INGREDIENTS: Kojic Acid, Vitamin C, Arbutin, Vitamin E, Talc, Perfume, Colour – Titanium Dioxide (TIO2). The packaging of the soap is quite good and sturdy but in the end, it is a soap and so, carrying it around is not feasible once you start using it! 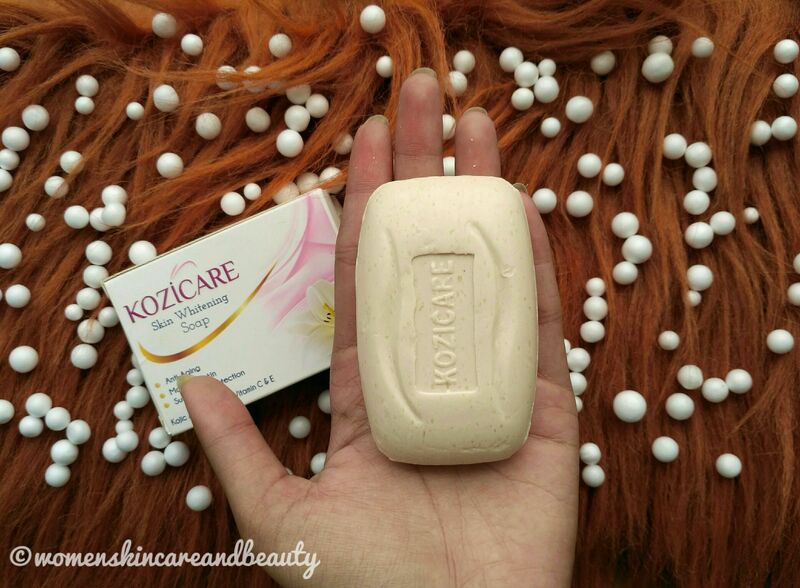 The kozicare soap is creamy-white in colour and has a mild to moderately strong artificial fragrance… The fragrance doesn’t really remind me of anything and I can only describe it as a ‘artifical sweet-citric fragrance’! Now, some may call the fragrance ‘pleasant’, and I wouldn’t deny it but I feel that people with sensitive noses may find the smell quite irritating! I bought 3 of these soaps last year, after coming across them on amazon while searching for new products to review! The soap also lathers a lot (which makes me think that it is loaded with sulphates) and rubbing it on the skin/loofah with water for just 5-10 seconds produces enough lather for one bath! I have also tested it on my face and neck during the summers, when my facial skin turns extremely oily, and again, it completely dried out my facial skin and even made it flaky in just a single use! 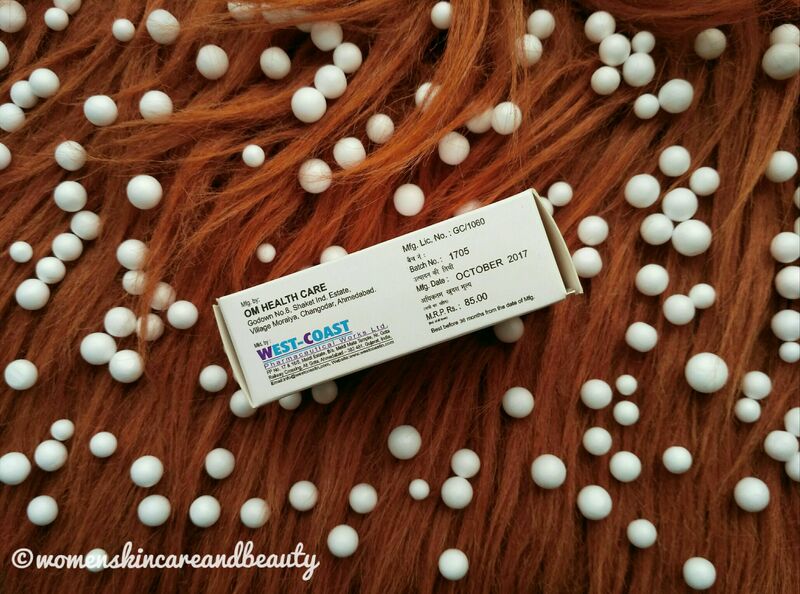 The soap also does nothing to ‘whiten’ or even just ‘partially brighten’ up the skin! I have used it for over 40 days in total and it did nothing to even ‘slightly’ reduce the heavy tan on my hands and legs, leave alone brightening or whitening the skin! The only thing it did was making my skin rough, dry and patchy! 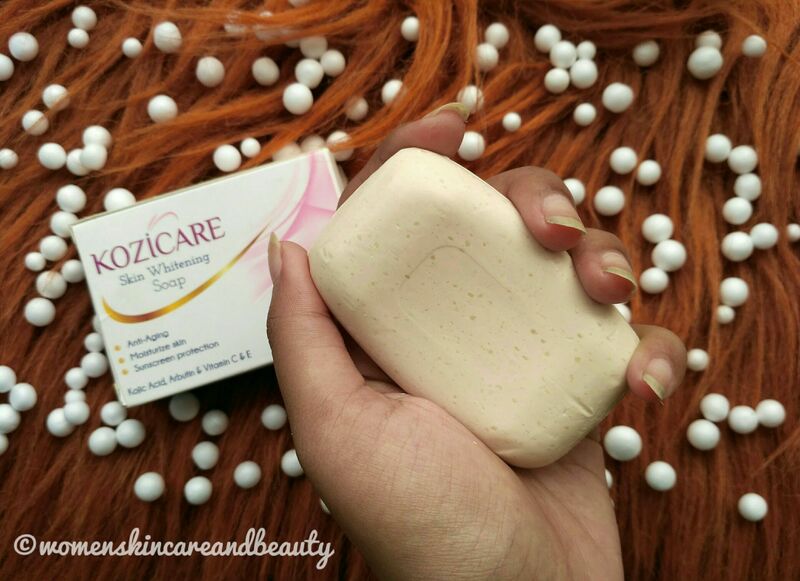 So, this so-called ‘whitening’ soap neither whitens or brightens the skin nor does it provides any moisturisation or anti-aging benefits or sun protection… It also works in the same way for all the skin types and suits none of them! The only good use that one can put this soap into is to use it for washing the hands after working with oily or greasy things! But then, why waste Rs. 85 when a bathing bar worth Rs. 5 can do the same job! 1. Easily available online on Amazon, Nykaa and Flipkart! 3. Doesn’t melt easily on the bathroom shelf! 4. Didn’t breakout MY skin! 1. Has a really artificial fragrance which may bother the sensitive noses! 2. Dries out the skin completely, irrespective of the skin type, leaving it patchy and flaky! 3. Doesn’t whiten or even slightly brighten up the skin! 4. Doesn’t do anything to stand up to its claims of ‘anti-aging benefits’ and ‘sun protection’! 5. Extremely over-priced and not worth buying! FINAL TAKE: In the end, the only thing that I can say is please, do not waste your money on this soap and do not spoil your skin! Oh I thought this soap was effective for clean skin and pigment-free face. Alas after reading your review I am not this anytime soon unless they are improving it. I usually find reviews are talking only pros of a product but since you have laid down both so honestly and provided such a detailed review, for me it makes you and the product trustworthy. Thanks for the honest review. I loved the way you have put across pros and cons in detail for informed decision of your readers. 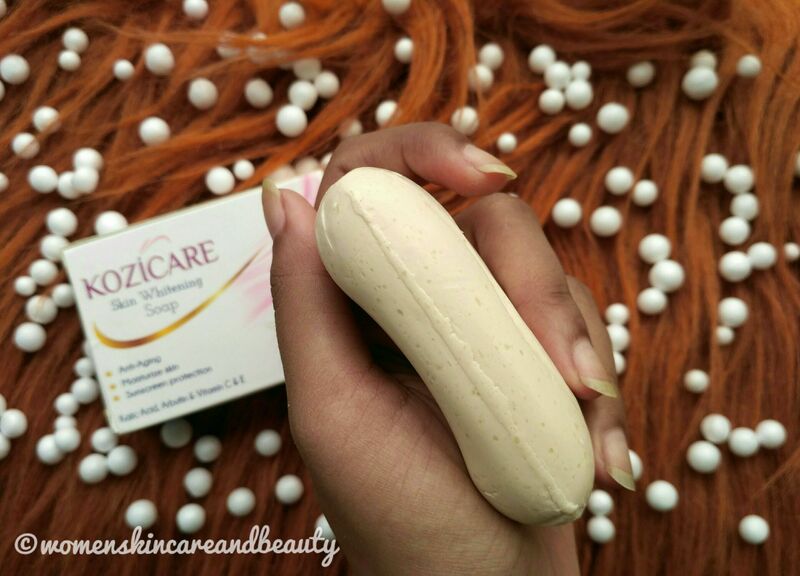 This soap looks safe to use than those artificial and harmful skin Whitening products available. Need to use this soap once. Glad you found my review helpful! It was a little off-putting to read the product claim as whitening and to top it off if it dries out skin further I’d definitely give this a pass. So many claims but nothing comes promising. Love the honest review, beyond whitening factors I wish company should more focus on the quality. What a bogus this is in name of a new product. I do not endorse products on skin lightening and agree with you on Aisn obsession over fair skin tone. Thanks for such an honest review, I am sure people would think twice before buying this product. I feel strongly about the skin whitening concept . Companies still sell creams to make people fair and our celebrities have endorsed them in the past. The concept is so gimmicky and if they would have sold a product like making skin even or to make complexion even and brighter, I would have appreciated. Brands should know that they should not make people feel bad about their skin colour. No soap or cream can change colour. It’s in our genes and we should appreciate our colour no matter what. As always thank you for sharing honest review and including cons along with pros. O wow! What a solid review! Love you for this candid piece of information. Will suely keep it in mind for my next purchase of soaps. I also have this soap but didn’t us ed d yet. Nice review. Will use it soon. Honestly I don’t really believe such soaps could work. They are very harsh to skin. Instead a lotion or cream with kojic acid might work better. Just love the way how you give this honest reviews, the review was a detailed one and honestly I am fully convinced on your take! You have always surprised me with your honest review of products. I am really impressed by the way you write reviews, brutally honest, must say! And that’s what customers like to know, right. Thanks for letting girls know that they are beautiful, no matter what color they are. The review is really genuine and honest. The soap seems worthless. Totally loved your brutally honest review.I too am not in favour of using and promoting fairness products of any sorts. Your review is very well balanced and speaks for both the sides. Good one! Oh god.. Franky sometimes we don’t pay only for product we end up paying for the commercials they spend to promote.. when this can do a job any soap which is 5 bucks then why this ..
thanks for the honest review, also i don’t personally believe that soaps can help whiten the skin! Ahh seems the claims have melted out somehow for this soap. A soap claiming for anti-ageing, moisturizing with so much lather doesn’t gives me a confort. Thanks for this honest review. I loved the honest review shared by you. I would still love to give it a try. 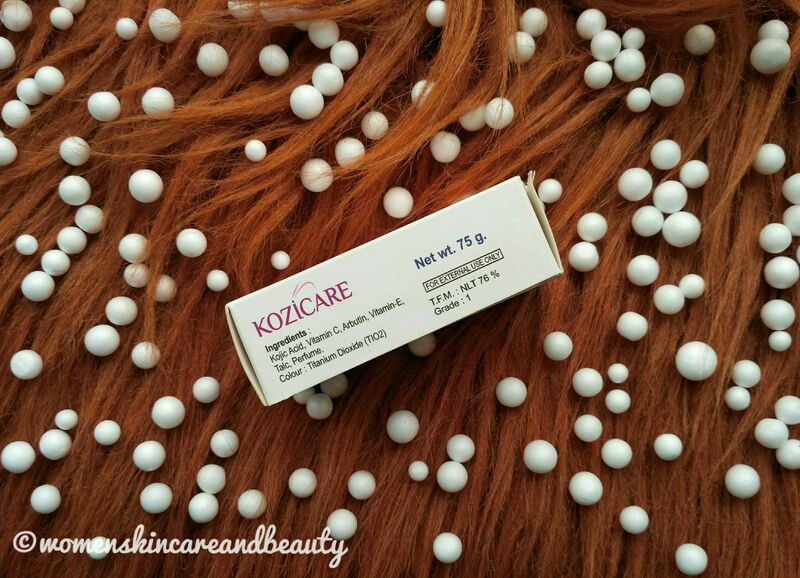 I am not much aware of the kojic acid but heard it to be an excellent natural acid. Ouch, so much for tall claims! I’m giving this one a pass. Thanks for the honest review. Wad thinking of trying it out. Kojic acid is such a great ingredient. Only recently there has been so much awareness on natural acids and their benefits in skincare. This is a great review.